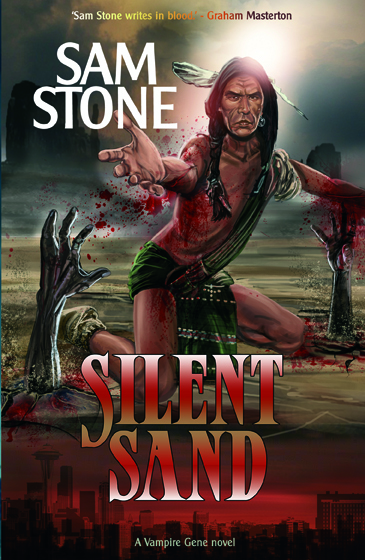 The stunning cover for SILENT SAND is now unveiled. Needless to say I'm very excited to share this with you. The novel can be purchased from all major book stores and will be available around the beginning of September. The official launch takes place at The Asylum Steampunk weekend in September along with my Steampunk Novella ZOMBIES AT TIFFANY'S (Cover reveal soon), but check out my appearance dates if you want to buy a signed copy personally. To buy your copy of my Vampires' latest adventure then go to Murky Depths and order now. Remember to make sure you indicate if you require a signed copy. Can't wait! I hope you feel the same. On 22nd July 2012 Grimm Up North will be hosting VAMPIRE SUNDAY, at The Dancehouse Theatre, in Manchester. I'll be there to open the proceedings with a reading and a short Q & A. Followed by more guests and three terrific movies! I can't wait. Sounds like a great way to spend Sunday to me. A very worth cause has recently been brought to my attention. Club Class Charity Rally is jointly run by Shaun Wells and his partner Nick Goulding, of Club Class Travel and they are trying to raise £10,000 for charity. Shaun is currently undergoing treatment in his ongoing battle with cancer and yet he is giving so much of his time and energy to help raise awareness, and money, to help other people. This has really impressed me. The rally will start on the set of Coronation Street, at Granada Studios in Manchester and will travel down the country, through London and Dover and will then commence through parts of Europe, ending in Gibraltar. Club Class Rally will be supporting two charities this year. The Christie Charitable Fund and SAMM (A charity that supports the family's of victims of murder and manslaughter. They are two worthy causes who need as much support as they can get. Even a few pounds will help. So if you want to support something worthwile this year, then please consider giving a donation to this cause. If you want to learn more about the Rally and the fundraising activities of Club Class Rally, please check out their website HERE. 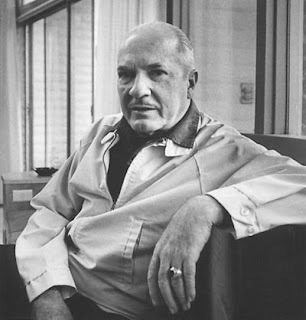 In 1947 Robert Heinlein wrote an essay called “On the Writing of Speculative Fiction” in which he established five rules that he felt were crucial to becoming a professional writer, and, more importantly, getting published. This work has been frequently re-printed and I have heard Heinlein quoted in abbreviated forms and versions ever since I became a writer myself. Here are the five rules, and in this article I intend to explore them in context with my own experiences and the way in which I believe publishing works today. These rules look fairly easy to follow and perhaps in 1947 the publishing industry was indeed that simple. In today’s market however, I’m not totally convinced that becoming a published writer is that easy. I can’t count how many times people at events have told me that ‘they are writers too’. Then on further questioning I discover that this person has never actually written anything, or had anything they had written published. If you fall into this category then, no, you are not a writer, but you would clearly like to be one. Great! I understand where you are coming from completely. I was aspiring once too. You wouldn't go to your doctor and tell them that you are a doctor when you have no education, training or experience, would you? Or tell your hairdresser that you can cut hair when you have never even picked up a pair of scissors and done it. To me a writer is someone who has written, completed and sold a piece or pieces of their writing in the professional market, be that fiction or non-fiction. It is not someone who ‘wants to be’ a writer. You are only 'aspiring' until someone else pays you good money to publish your work and publishes you at their expense. I have written six novels (five sold), a novella (sold), several short stories (sold), a collection of short stories and poetry (sold), Edited and written a screenplay (sold) edited professional journals, biographies and novels. But only since I began to write full time two years ago have I really considered myself a proper 'writer' and believed that I had the right to use that title. Now that I have clarified my definition let us look at Heinlein’s five rules on how be published and to go from 'aspiring' to 'professional'. Firstly, as Heinlein says, you do have to write. Obviously I agree wholeheartedly with this. You need to write as much as possible and this should be every day if you are serious. This helps you to build up that creative muscle, hone your skills and makes the art of writing become such a natural thing for you to do that the words flow easily. Many agents will tell you, and believe me I had one say this to me about eighteen months ago, ‘write around 1000 words a day’. I think, to be honest, you should write as many words as you can manage. But make yourself do it. Get a routine. Discipline yourself to keep to your schedule. Set yourself goals and beat them. Challenge yourself every day. If you do this, then five hundred words will soon become a thousand, a thousand will become two thousand and pretty soon you are finishing that book you always wanted to write. How I apply this discipline is that I write every day as soon as I get up. This has become so part of my life that I feel strange if my day starts any other way. I also hold competitions with myself. How many words can I write today? Can I do better than yesterday? This is completely insular – I don’t actually care what other people do or don’t write in a day, be it more, or less, than I do. It’s about me beating me. Me achieving my very best. Challenging myself. The goals you set yourself could be about improving, doing something original, and strengthening your known areas of weakness (I used to hate describing: now I love it because I’ve worked so hard to become good at it). The harder the challenge, the greater the high you will get from overcoming the obstacles. Without doubt you have to finish what you write. If you don't finish your story, novel or script then how can you ever possibly hope to become published? No one will take a newbie seriously who doesn't finish anything, and no one will invest in you either. Plus finishing things proves to yourself that you can do it. In the end you need that self-esteem and confidence in order to be successful no matter how far you want your career to go. Two weeks ago I sold a new novella, Zombies At Tiffany’s, on a six line pitch. This was the first time I had sold something before I had actually written it. I set myself a goal to write this novella to first draft in a week. It meant obsessive dedication and real stamina. I started on the Monday one week and by Sunday I knew I wanted to complete the draft the next day. I woke early and started right away. I finished that book by 2pm on the Monday. I had written 6,425 words in that day alone. I would not have sold this book, however, if I hadn’t already proved that I could finish what I started, or see through my ideas to completion. This is where challenging your word count can come in. It’s an easy way of raising the bar of your stamina. I won’t stop writing today until I have done so many words, or so many chapters, or until my character reaches this point in the story. Keep setting those goals: I’m going to finish this book today! And you will finish what your started. If you do that, you are halfway there to selling it. Heinlein said that you should never rewrite your work unless advised to do so by an editor. My definition of re-write can mean anything from editing small changes in, to making major changes to the text that may completely change the original meaning. One thing you should do is edit and proof-read your work, and if possible ask someone else to read it too. Let's face it, you are not perfect, especially if you are an ‘aspiring writer’. We learn from mistakes, and so will obviously make some in the early days. These mistakes may be enough to make an editor think that you are not good enough, or not ready yet to be published. Typos and spelling errors detract from the work, no matter how good your idea may be. I have now finished my novella in record time but the work doesn’t end there. My next task is to edit and improve it. I don’t want to send it to my editor only to be told it needs more work. The truth is I want it to be the best it can be first. Writing is a collaborative art and we all need editors because we are just too close to our own work to see its flaws sometimes, but you shouldn’t rely on them so much that you turn in substandard work that needs a lot of editing. It should be something you challenge yourself with every time. You can learn to self-edit. If you don't feel confident about self-editing I would advise taking writing courses or joining a writers' group so that you can gain the experience of working with others before you attempt to sell your work. Sharing your work can help you gain confidence in your own abilities and help you recognise your flaws. However, a word of caution here: courses cannot teach you talent - you need to remember that this has to be intrinsic, but they can teach you to be analytical and understand the art of writing. It can help you appreciate structure which could help you shape your words in the best possible way. Ultimately improving how well that natural talent is conveyed in your work is the aim of any of these courses, as well as giving you the confidence to believe that you may actually have the talent needed to go the distance. That's not quite as easy as it sounds. Firstly, how do you sell your work? Who do you sell it to? Well this is the hard part. You need to research your market. 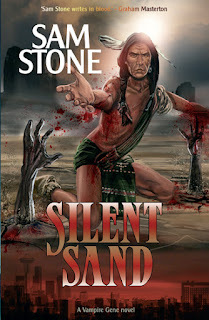 If you want to sell a novel you need to be able to express to your potential publisher that you understand your market. Who do you write like? What fan base do you appeal to? What age range is your work suitable for? If you don’t know the answers to these three questions then it’s probably not that clear in your writing either. This makes the book harder to place. It also makes it less likely to sell. If you have read a lot of one particular writer’s work, and you are aiming at their audience, then you should understand your market. You may find The Writers’ and Artists’ Yearbook and The Writers’ Handbook useful. These books provide lists of agents and publishers, their submission criteria and who and what genres they publish, which will give you some clue about whether they might be interested in your work. Clearly if you don't submit work you will never sell it, but be prepared for rejection when you do start to submit. It happens to us all. This is the time to take on board any advice that the editor or agent who rejects has to offer. They know what they are talking about, so listen. The final rule is far less easy to agree with in the current market. The big six publishers have slush piles so high that you would need a great deal of luck to even get one of the editors to look at your work. Years ago I would have advised going to literary conventions and networking. I now wouldn't. Because they won't make the slightest difference to your career at all. It might, in fact, be detrimental to you if your face doesn't fit. My advice is remain anonymous, but keep on sending out your work to agents and editors and always follow their submission guidelines. Make changes you agree with, ignore those you don’t. Changes and editorial suggestions are purely subjective (and I know that this actually clashes with the comment I made above about listening to editors and agents – but you have to use some judgement in this as well.) Learn to recognise generic advice that they send out to everyone. A personal, detailed response to your work is another matter entirely. I once got a rejection letter from an editor who advised joining ‘writers’ groups, don’t use adverbs, and write every day’. By then I was writing full time (3-5k daily), had an MA in Creative Writing, had won an award, and was a stickler about ridding my manuscripts of adverbs during edits. I knew in that one paragraph that they hadn’t even read my book. Heinlein’s fifth rule makes me a little cross to be honest. Keep it out there until it sells? That's harder than it sounds. For a start rejections can be soul destroying - that's where stamina, dedication and confidence come in. You have to believe in what you've written in order to have the confidence to keep sending it out despite many rejections. Plus there are the publishing industry rules to consider too! Okay, let’s look at the general rules of submitting manuscripts. Most publishers and agents will tell you that they won’t even look at your work if you’ve done a multiple submission (unless you have an agent and this agent is clear that they are doing a multiple submission). By their ruling you submit to one, you wait for a reply, when/if, rejected you are then free to send the work out to someone else. The average reply time from most publishers ... three months to a year (if they even bother to reply). If you stick to the industry rule you would be sending the same manuscript out once a year. It could take you twenty years or more to actually get that one piece of writing in print. Sorry to depress you if you are just starting out. But that’s the reality. So what did Heinlein mean by rule 5, and how can we apply it to today's markets? I think it's safe to assume that there probably weren't as many potential writers submitting to editors in 1947. Heinlein may well have had quick rejections, or left his work with his agent to offer around. I don't know though to be honest. But what I do know is that there are a lot of people out there today - maybe millions of people - who are aspiring writers, and that is a lot of competition. I used to follow the rule of waiting for a rejection. I'm still waiting for rejections on books and stories that have since been sold. The truth is, they wouldn't be in print if I hadn't decided to put a cap on this for my own sanity. I now have a rule myself where this is concerned - give a publisher three months, unless they have expressed clearly in their guidelines that the response time is longer. If I don’t hear back in that time, then I write them off as not interested and send it someone else. This rule doesn't apply if I submit early to an anthology that has a submission deadline. I fully accept that the deadline means I won't hear until sometime afterwards. It is rude, however, if the editors never tell you that you didn't get in. But so far my experience has been very good in this area. So do Heinlein’s Rules still stand up today? For some people these rules seem to work just fine. Perhaps they are the lucky few whose work lands on the right desk at the right time. Generally, the advice is fine as long as you define it in a way that works for you. If I were Heinlein and I were writing these rules today, I’d feel like I had to give more than these five basics because the industry has changed so much since 1947. With all the competition editors are swamped. So this is how I would change the focus of those rules. 1 Be dedicated. Write every day. 2 Build stamina. Finish what you write. 3 Edit until you are confident that your manuscript is the best it can be. 4 Research and submit to the ‘right’ market. 5 Listen to advice and then submit your work elsewhere. I don't think this is a perfect formula however. So much depends on luck. The right person seeing your manuscript, on the day when they have been told to find something just like you have written. After all that do you really want to do this? I realise that my definition of what a 'writer' is may actually upset some people because they want to live in their own little pipe dream. But the fact is, being a writer is hard. It does not automatically mean you will have the success and money of J K Rowling. In most cases it is quite the opposite. Getting something published is only the beginning of what might become a career for you. The majority of writers I know still hold down day jobs. I may consider myself a 'writer' and do this full time but it is still very much the start of my career (after five years of hard slog). So if you think writing will lead to fame, money, success ... Well, to be honest, that's very unlikely. How to be successful? Well that’s another blog entirely, and I’m not sure I will ever know the answer. Give me a few years to get past the fledgling writer stage and I might be able to tell you! 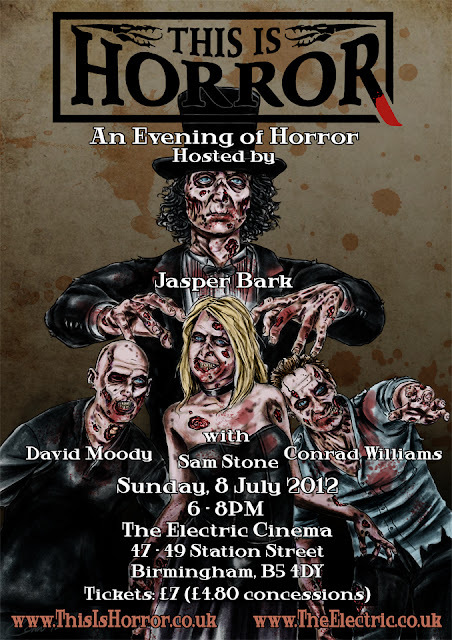 This Is Horror present a brand new evening of horror literature as part of Shock & Gore 2012, as award-winning horror author and crowd favourite Jasper Bark plays host to special guests David Moody, Conrad Williams and Sam Stone, three acclaimed authors who will be answering questions from the audience and reading excerpts from their work. To celebrate the publication of a new Steampunk/Zombie novella by the inestimable Ms Sam Stone called ZOMBIES AT TIFFANY'S (press release can be found here: http://telospublishing.blogspot.co.uk/), we here at Telos Towers thought it would be fun to run a competition for all interested parties. The winner will receive the dubious honour of being brutally slain and eaten by Zombies in the novella ... not something that happens every day, I grant you, but in Ms Stone's world of Victorian gadgets, invention, and attacking zombie hoardes, it's a fairly commonplace happening. To enter, we simply want you to name the author of the novella BREAKFAST AT TIFFANY'S, upon which Ms Stone's newly formed fiction is very loosely inspired. Please send entries to Telos Publishing at david@telos.co.uk to arrive before the end of JULY 2012. Please put ZOMBIE COMPETITION as the subject line. We will then put all the winners in a hat (probably a bowler, or perhaps a Fez), and select the lucky victim winner. They will receive the aforementioned accolade of being fictionally slaughtered, and also a signed copy of the finished book when it is published in time for The Asylum 2012 in Lincoln, at which event it is being officially launched. The decision of Telos Publishing in the final result is final. To find out more about Telos Publishing, please visit www.telos.co.uk. Needless to say I'm delighted to be writing this novella and working with Telos Publishing again. Good luck to all! Did you know that authors get a very small royalty everytime their book is out on loan from a library? If you go to your local library and find that they don't stock the book/books then you can request they order them for you. This means a book SALE to the author also and if the books are then stocked by your library other people will see them and borrow them. If you want to help and support local authors but can't afford to buy their books - why not order them at your local library? I challenge you to do this in the next week!